At Maaco, we stand behind our workmanship. 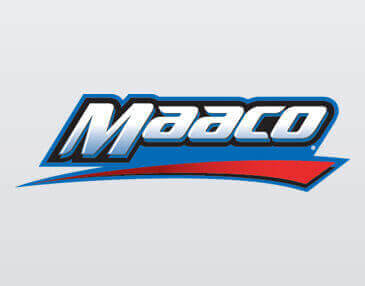 Maaco offers various levels of service and warranties for every budget. See store for additional details, based on the repairs we provide and the existing condition of your vehicle. Maaco Fleet services caters to a wide range of business fleet, both large and small, including car rental, government and municipial agencies, telecommunications providers, food and beverage and corporations. 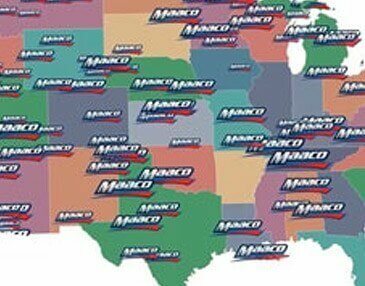 Maaco is looking for areas to expand our business. If you have a building or build-to-suit site, we would love to hear about it. Maaco Founder, Tony Martino, opens the pilot Maaco Centre in Wilmington, Delaware. 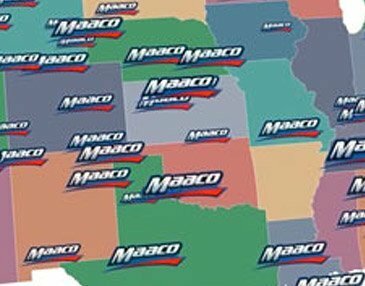 Maaco grows to nearly 200 Centres throughout the U.S. and Canada. The iconic catch phrase "Uh-Oh! 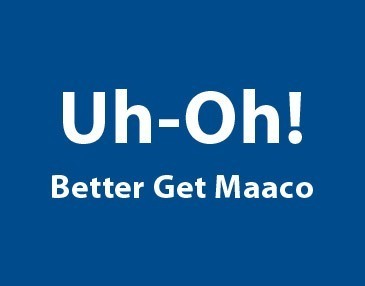 Better Get Maaco" was born. Maaco grows to 325 Centres. 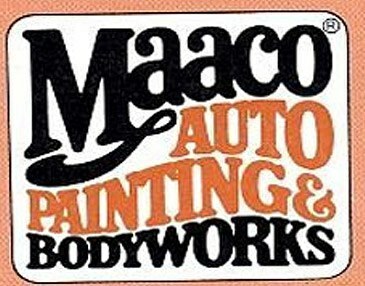 The Maaco brand begins to gain a reputation for auto body repair as well as painting. 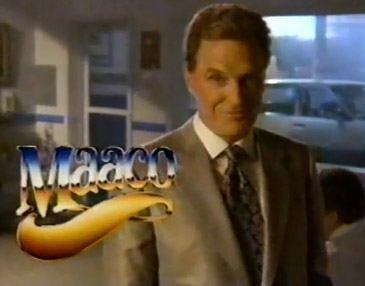 Robert Stack, Elliott Ness of "The Untouchables" and host of the once-popular "Unsolved Mysteries", is chosen for a series of TV ads. Maaco grows to over 450 Centres. 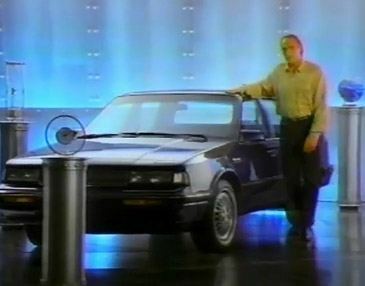 Craig T. Nelson, the star of the television series "Coach", appears in print and TV ads. 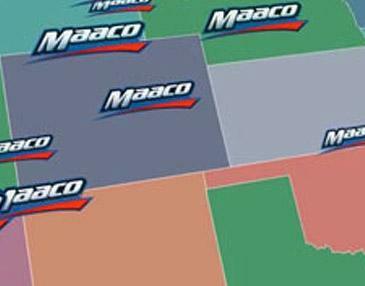 Maaco grows to 535 Centres in the U.S., Canada, and Puerto Rico. 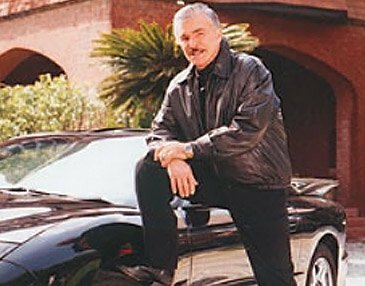 Burt Reynolds featured in new commercial campaign. 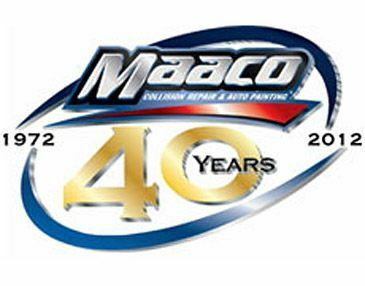 Maaco paints its 13 millionth car. Maaco paints 18 millionth car. "Turn the car you drive back into the car your love" campaign. Maaco Founder, Tony Martino, is inducted into the International Franchise Association Hall of Fame. 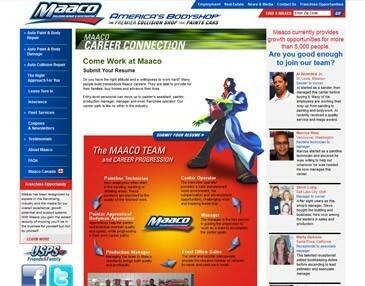 Maaco celebrated it's 20 millions car serviced, re-launched "Uh-Oh, Better Get Maaco", appears on Undercover Boss. Celebrated it's 500th location opening up, launched a new Maaco.ca. 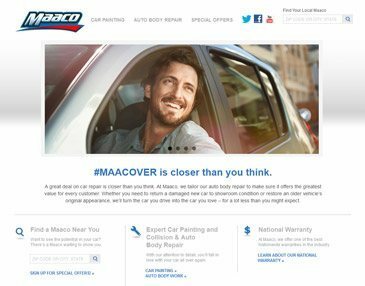 Discover the benefits of owning a Maaco! Put yourself in the driver's seat of success. As the Maaco franchise business model is retail oriented, a background in the automotive industry is not necessary or required. 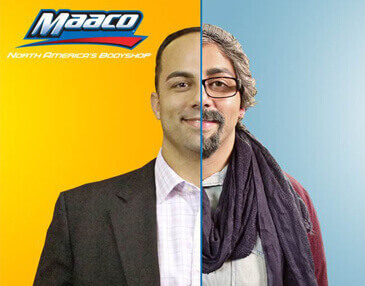 In fact, successful Maaco franchise owners come from all walks of life with various skillsets. I-CAR Gold Class Certification is a independent third-party certification process that is quite literally the gold standard for collision repair. 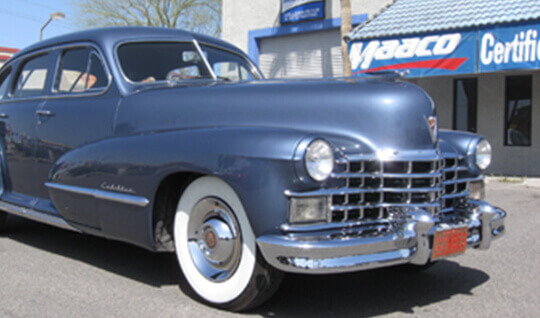 I-CAR Gold Centres are extensively trained in the latest tools and technologies of the trade. Maaco and Meineke Join Common for Surprise on "Knock Knock Live"